Show readers how you work, or how your product comes to market. Show how the product works. Videos work great in this type of post. Interview a company executive or staff member, an industry icon, a product user, or a celebrity. Post the interview questions and answers, or video interview. A roundup post collects related items into one theme, like “The 6 Best” of something. Use roundup articles to gather experts on a particular topic. Post their responses and link to their websites. They have a vested interest in sharing the post with their own followers. Share your point of view or opinion on a particular topic. Look for trends in your industry that you can expound upon. Likewise, look for current controversies in the news or industry and provide current information on your side of the story. Use the post to generate excitement about a product or service through a contest or giveaway. Relate the prize to your business in some way. Ask the readers to perform an action, such as signing up for your newsletter, to either enter for a prize or access a free giveaway such as a special report. Offer your predictions as an expert in your field. Can you give your views on how the industry will fare in the next few months or year? People love to read about problems and how they were solved. Has a particular dilemma arisen in your business, or with your product or service? How did it happen? How did you resolve it? 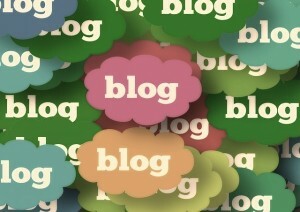 There are so many ways to blog about your business, products and services, as is evident by these types of blog posts. Hopefully this will give you some new ways to think about your posts and what to write. If you need help developing a blog strategy or in creating dynamic posts, All the Buzz can help. Contact us to ask about our blog writing service.